The wisdom teeth usually start to erupt around the late teens or early twenties, and the operative word there is “try.” Most people simply don’t have enough room in mouth for these teeth, which is why they often cause pain, overcrowding, and even infections as they struggle to erupt. 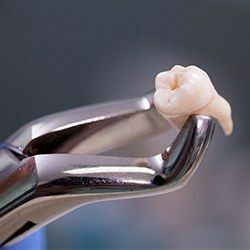 To help people dealing with problematic wisdom teeth, the team at Bethel Dental can extract them right in our office, saving them from having to visit an expensive specialist. Why Choose Us for Wisdom Tooth Extraction? After taking X-rays of a patient’s mouth and determining that wisdom tooth extraction is the best option, our dentists will start by numbing the treatment area, which we will do using a local anesthetic. Once we are sure that a patient can’t feel anything, we’ll make a small incision in the gums so we can easily access the teeth before completely removing them. 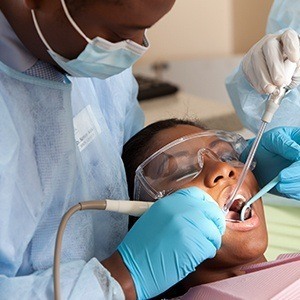 We’ll then close the gums with self-dissolving stitches, dress them with gauze, and provide pain medication to the patient to help manage any discomfort and swelling. They should feel fully recovered after about a week or so.